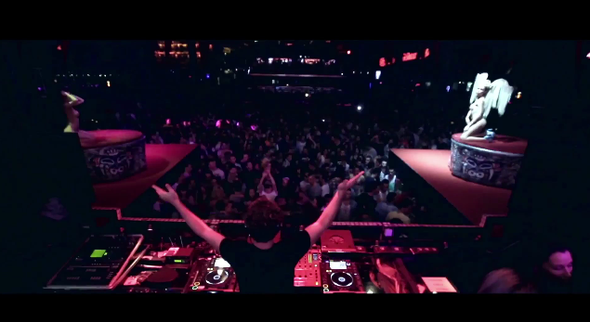 Check out the official video for MYNC feat. 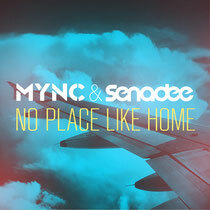 Senadee on ‘No Place Like Home’, the brand new track out August 26th on Cr2 Records. The video pairs the big room instrumental and Senadee’s soulful vocals with a video documentation of life on the road for MYNC. From the nonstop travel and big rooms sets, life’s a blur for a DJ, but there’s still nothing like stepping off that plane and realizing you’re finally home again. The ‘No Place Like Home’ remix package features reworks from Denzal Park, Mario Fischetti, Electronic Youth and Avesta. The track has received early support from Laidback Luke, Sebastien Drums, Morgan Page, Paul Oakenfold, Fedde Le Grand, Markus Schulz and Jessie Voorn, among other top names. MYNC have been quietly getting on with their business over the last six months. In between producing and DJing at venues such as Green Valley Brasil and Fabrik Madrid, MYNC have been delivering some fine remixes for dance music’s royalty including official mixes of Avicii ‘Fade Into Darkness, Azari & III ‘Reckless With Your Love’ and Nervo ‘You’re Gonna Love Again’. Their recent production, ‘Stadium’, was snapped up by Calvin Harris and promptly released on his imprint, Fly Eye Records, commanding full support from Radio 1’s Pete Tong, as well as plays across Kiss (Steve Smart), Capital FM (Andi Durrant) and David Guetta’s Radio FG Show. Senadee just signed his latest solo production to Paul Oakenfold’s Perfecto, the first ‘non-dance’ signing by Paul Oakenfold to his esteemed label in over ten years, and has collaborated with Grammy-nominated American dance producer, BT, on material for his forthcoming album. Having already secured a legion of fans through extensive live shows, guest vocal appearances and TV & Radio play around the globe with some of the biggest names in dance music, Senadee now has his sights set on chart success.